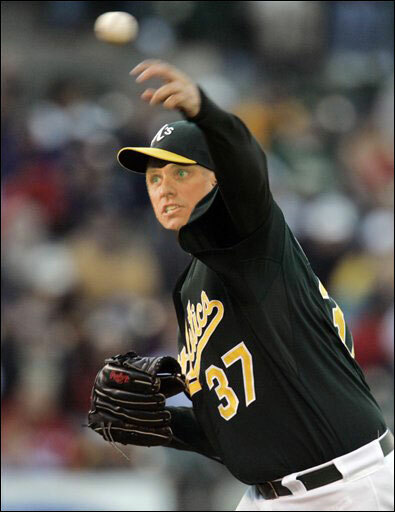 By now you’ve probably seen the old Roger Clemens. 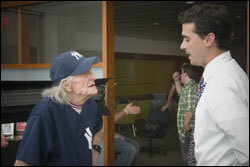 No, not the one who looked ancient in losing to the Orioles Wednesday night. We’re talking Roger 2057, the short video created by Natick’s Michael Barber that was launched two weeks ago and has taken the Internet by storm. 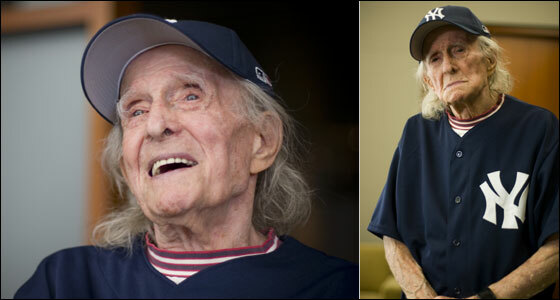 Roger 2057 lasted nearly two weeks on top of Boston.com’s most e-mailed list, got a mention in Sports Illustrated, and was recently blasted all over ESPN. 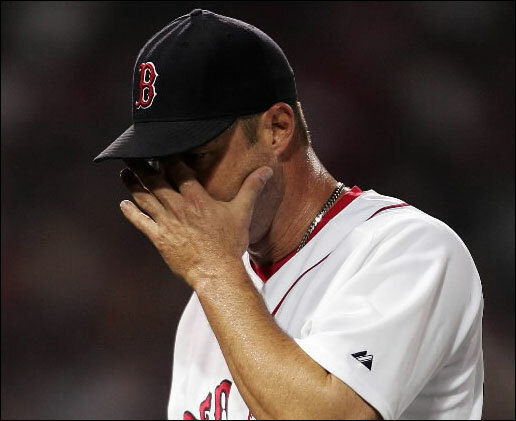 Even Roger Clemens himself laughed when he saw the video prior to a start recently. 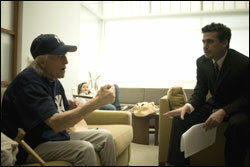 “The Internet is blowing my mind,” said Barber, regarding how quickly the buzz about the film has spread. 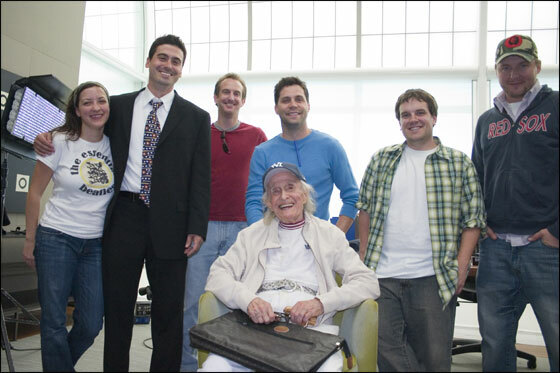 The Stonehill College grad has been acting in Los Angeles for about 10 years, primarily working in theater and doing the Southern California comedy circuit. “This is the first thing I’ve made as a film,” says Barber, who paid for the production of the video himself but got a lot of help from his camera guys, special-effects friends, and post-production crew. Barber is a real deal Sox fan, sans Red Sox Nation card. His favorite player growing up was Yaz. 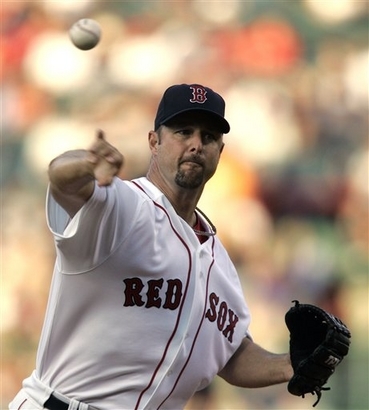 He used to take the train in from Natick to get standing room seats during the non-eventful playoff games of 1988 and 1990, when the A’s Dave Stewart used to eat Roger Clemens's lunch on a regular basis. When the pair was looking for someone to play Brian Cashman, Jr. in the short film, Oates suggested that Barber knew the subject matter better than any other actor in the Los Angeles area, Michael Chiklis, Ben Affleck, and Mike O’Malley notwithstanding. So Barber took on the role himself. Not all of the feedback around the Internet has been positive. Manny Shoulda Had It, Right? Eric Wilbur: Pretty in Pink? Should Gabbard Be Given His Walking Papers? "Well Cinco Ocho is the name I've taken on right now, that's just the way I feel. I feel like I need to change my name to Cinco Ocho. My teammates kind of gave it to me." 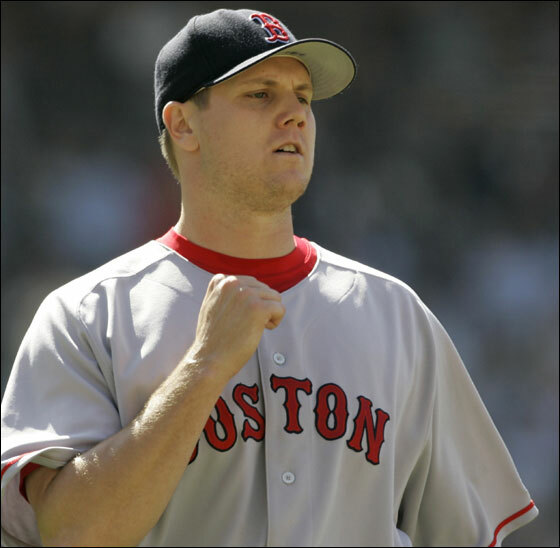 -- 6.26.07, Jon Papelbon to WBZ radio's Jon Miller on his new nickname. WBZ-TV4 Video. 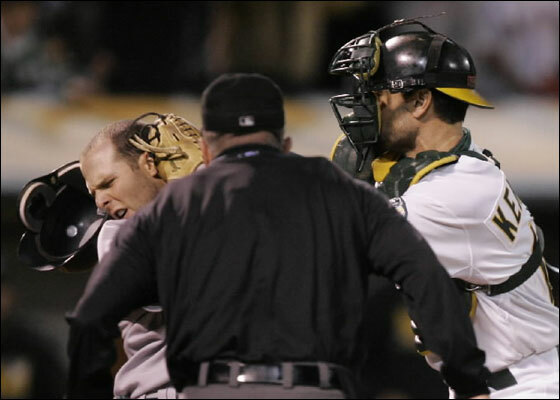 Vote Magglio: Is Manny's All-Star Reign Ending? McAdam: Did Schill Take a Swipe at Theo? Just 4 1/3. Can Tavarez Be Trusted Not to Bust in the Second Half? 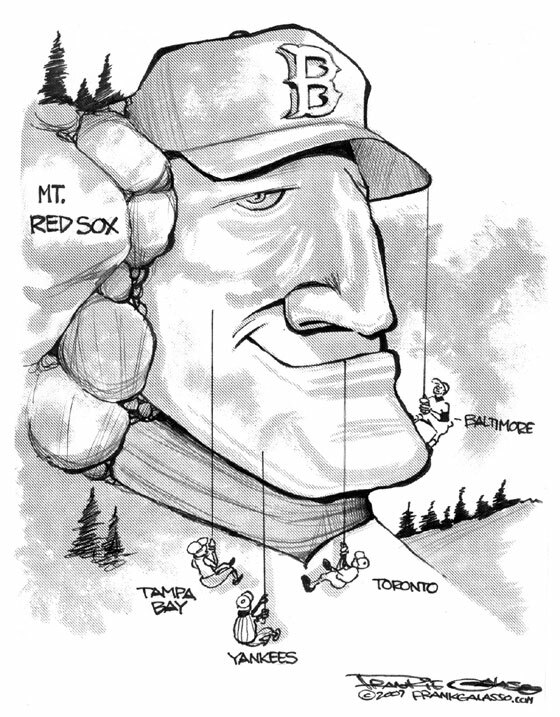 Maybe Mike Timlin Could Run for President of Larry Lucchino's Nation? "It hurt a little bit, you know, my hamstring. But ... it didn't affect me at all. Things just went wrong." -- 6.25.07, Julian Tavarez sending up a red flag? 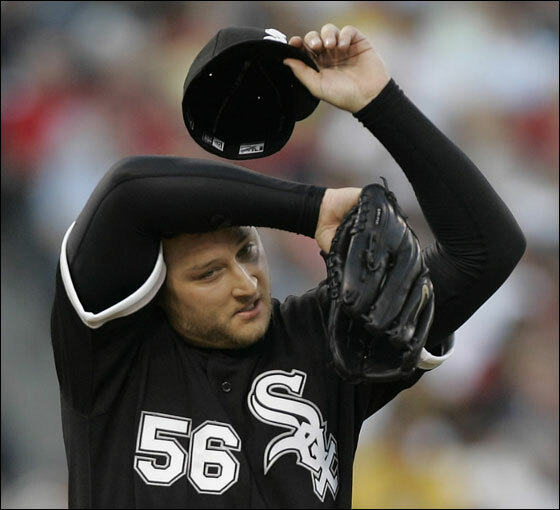 Are You Big on Buehrle? 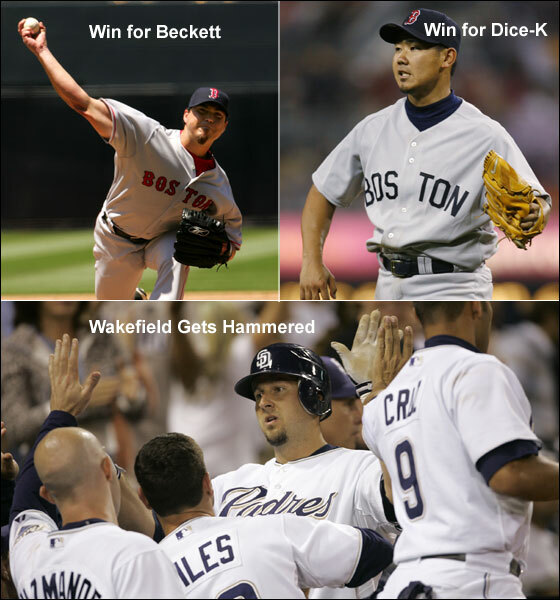 Extra Bases: Are the Sox the Frontrunner to Pick Up ChiSox Lefty? Survey: Are You Big on Getting Buehrle? 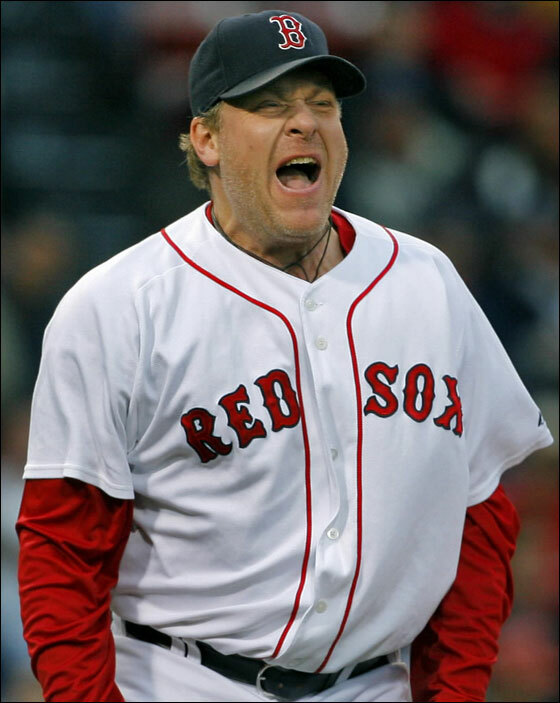 "According to the source, the Red Sox not only want to keep Buehrle away from the New York Yankees and are willing to offer him a contract extension in the five-year range he is seeking, but they have a farm system loaded with players in whom the White Sox are interested. 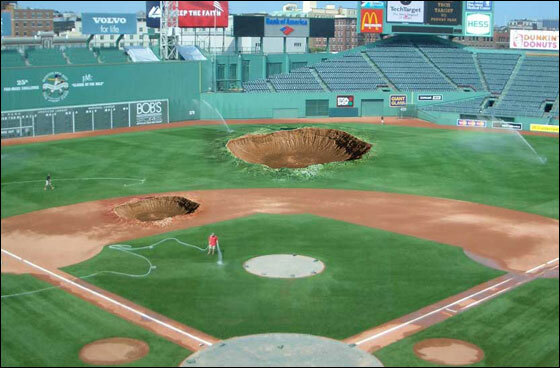 At the thought of a Fenway with no Troy O'Leary! How sad—no mo Nomo, Chris Stynes or Bichette! John Valentin and Mike Lansing--we'll never forget! Boston fans still love you best! Coco Rolls to .258, Lugoh no! 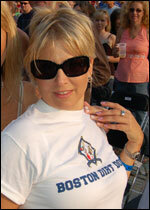 Life is Good at Fenway: Are You the Sox Super Fan? 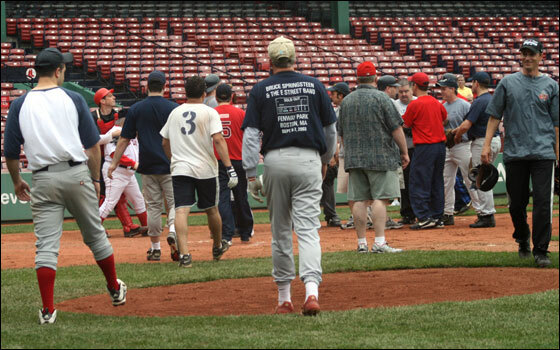 Ever Hear of Johnny Damon Not Stepping Up for the Fans After a Game? 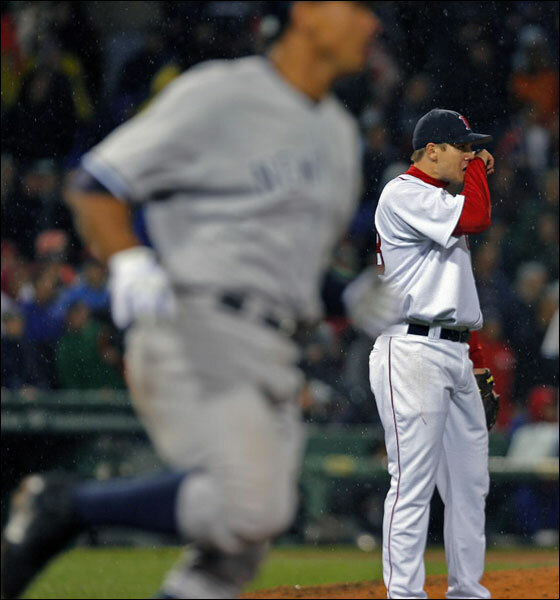 Is He No Longer a Member of Red Sox Nation? Don Orsillo: This is episode three [of NESN’s Sox Appeal] that you’re looking in on… how do you think this is going Jerry? Remy: … Umm… he’s talking like crazy and she seems to be listening. He’s a leaner… I don’t know… he looks like Dan Roche. 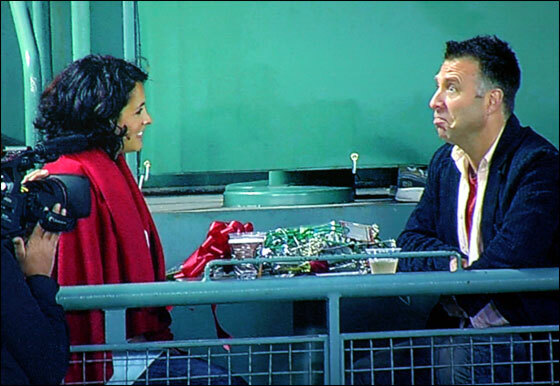 Orsillo: I don’t think Dan wears an earring. I don’t know, I haven’t seen him wear one before, but I guess it’s possible. Remy: I think he’s nervous, he looks very fidgety. Remy: He’s a leaner, and his head shakes a lot. I think he’s nervous because he’s on television… I thought that was a phony smile, did you? Remy: Did you see that head move? 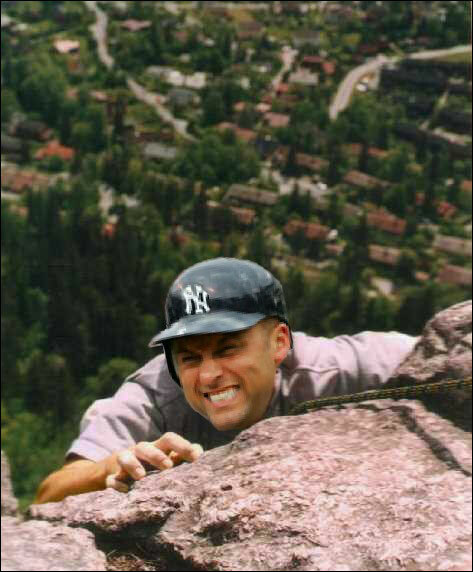 Orsillo: Yeah, very nervous. And more drinking! 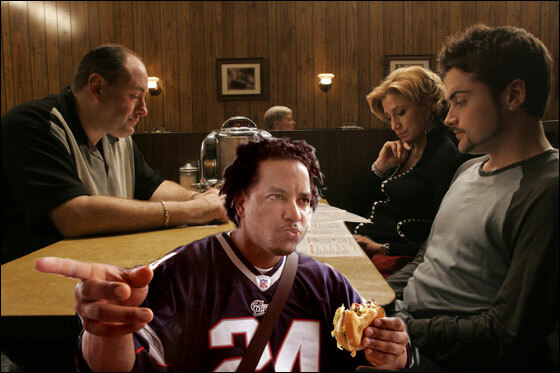 Remy: You can always fall back on ‘How you doin’?’, because she’s might be doing different like, three minutes from now than she was doing two minutes ago, you know I mean? …But you gotta look straight into here eyes, you can’t be bobbing and weaving because she can’t focus on you if you’re doing that. 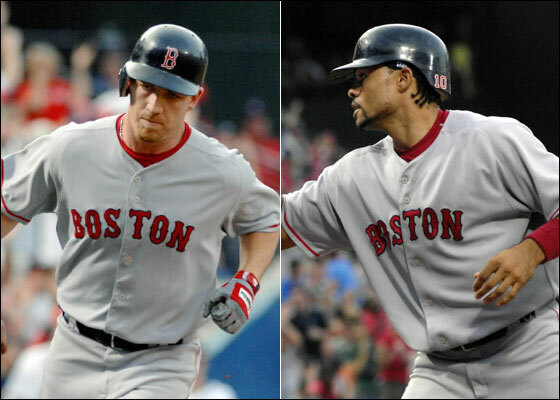 Survey: Should Sox Make an Offer? Can He Shake This One Off? Cure for Lugo's Batting Woes? 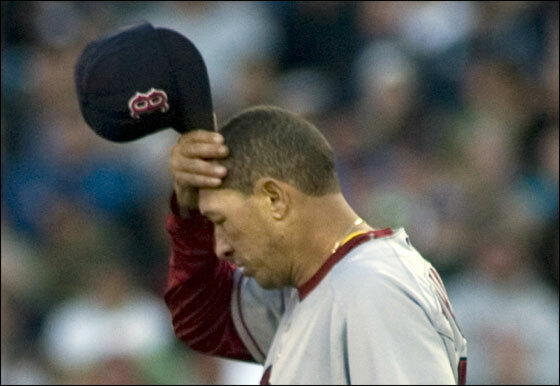 PAWTUCKET, RI | June 12, 2007 -- You could forgive Manny Delcarmen for being disappointed with the letter on his hat. 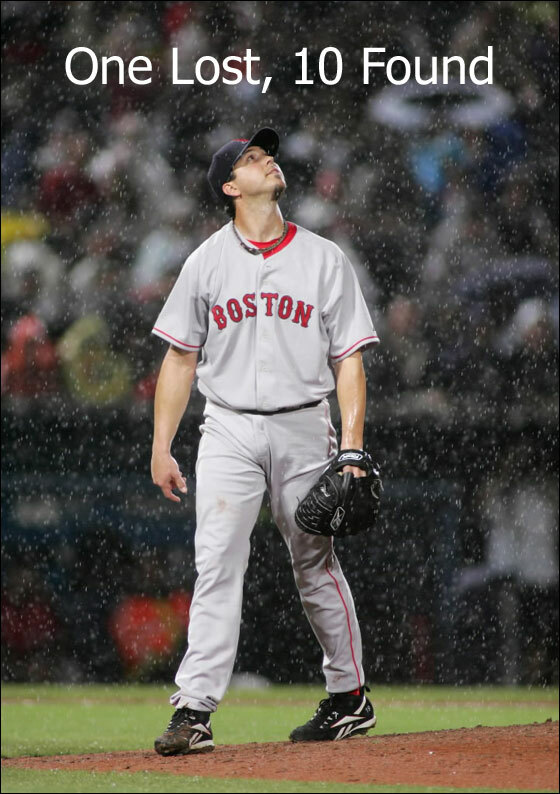 After a half-season spent with the Boston Red Sox last year, during which he pitched capably for a rookie, if not spectacularly (53 1/3 IP, 30 ER, 5.06 ERA), he found himself starting 2007 in Triple-A, with a P on his cap instead of the B he expected. 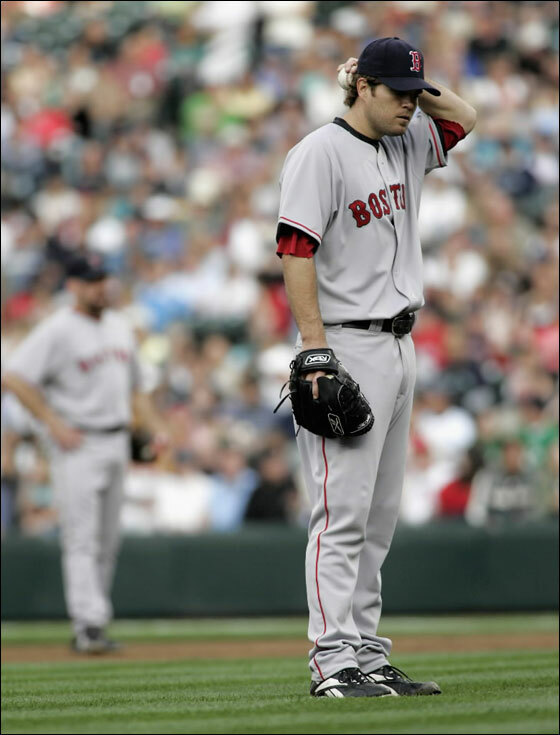 To make matters worse, just when he needed to be at his crispest, he started out the 2007 season with a horrible April, surrendering 9 ER’s in only 11 1/3 innings pitched for a 6.94 ERA. His low point was a game against the Buffalo Bisons May 5th, during which he gave up two earned runs in the bottom of the 9th to hand the Bisons a 15-14 victory in a game in which they’d been trailing 14-6 going into the 9th. Since then the hometown boy has made good – very good indeed. In his last 9 outings, Delcarmen is 2-0 with a 0.00 ERA (14.2 ip, 8 H, 0 ER, 8K) and has brought his ERA down from 6.94 to its current 3.52, a number that seemingly falls every time he toes the rubber. The 25-year-old righty insists that there was no great epiphany, no magic button to press, that improved his game. 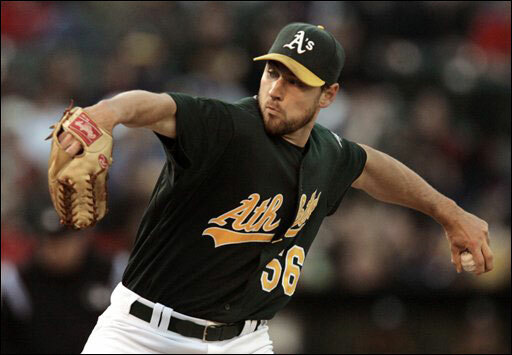 His manager, Ron Johnson, was impressed with his recent performance, which maintained a 7.1 inning gem by Devern Hansack. So how does a 6.94 April turn into a 1.46 May? Is it weather? Whatever the future holds for the personable Delcarmen, the only certainty is that he’ll be ready, come whatever may. 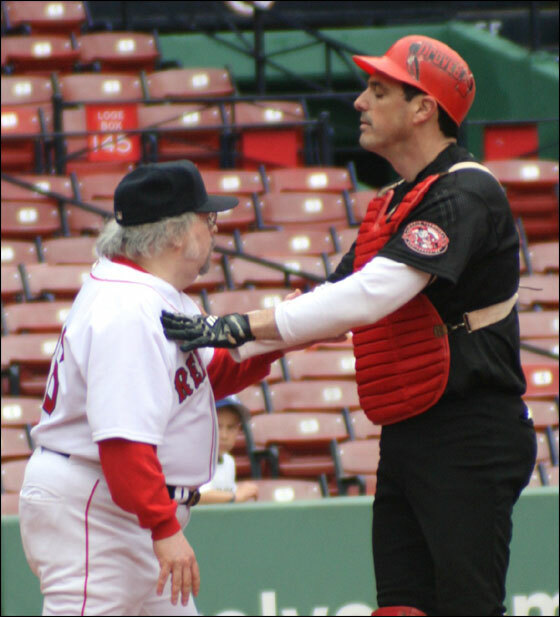 Don’t let Hansack’s 2-6 record at Pawtucket fool you. 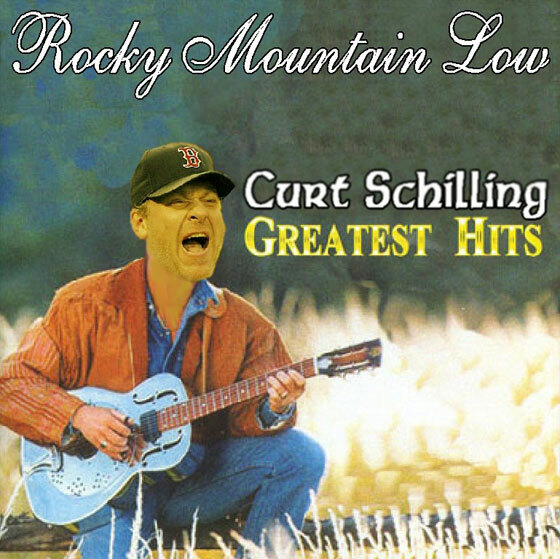 Look a little deeper behind the numbers and you’ll see a 3.49 ERA over 59.1 innings pitched and a slew of no-decisions and hard-luck losses that skew his record towards miserable. Witness: an ND on April 11th after 5 scoreless innings; a loss April 19th after going 5.1 and giving up only two; another ND June 1st after going 7 scoreless innings, giving up only three hits; a loss on June 7th after 6.1 innings and two earned runs. 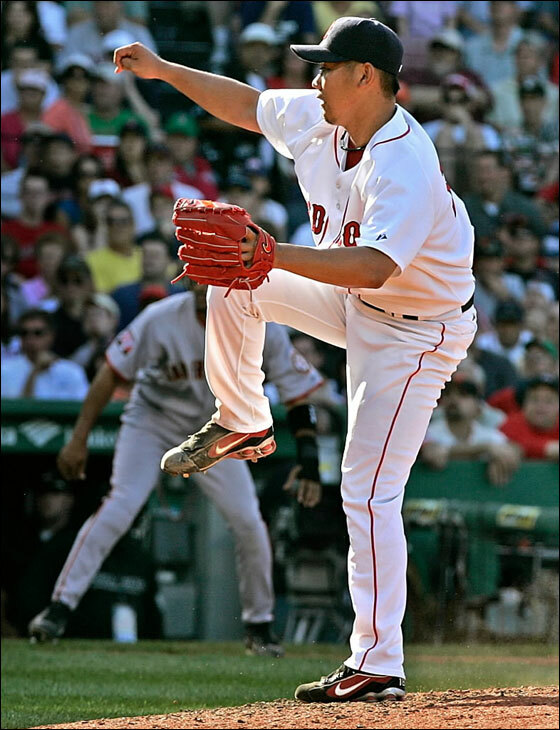 Last night’s 7.1 inning gem during which he gave up only two ER’s resulted in his first win since his Pawtucket debut on April 6th. Jacoby Ellsbury is quickly establishing himself as a player that people stop what they’re doing to watch. In last night’s tilt, for example, the Sox’ first-round pick from the 2005 draft came to bat leading off the third inning. He rapped a sharp single into right, then stole second with a jump so large that he’d already popped up from his slide by the time the throw came. 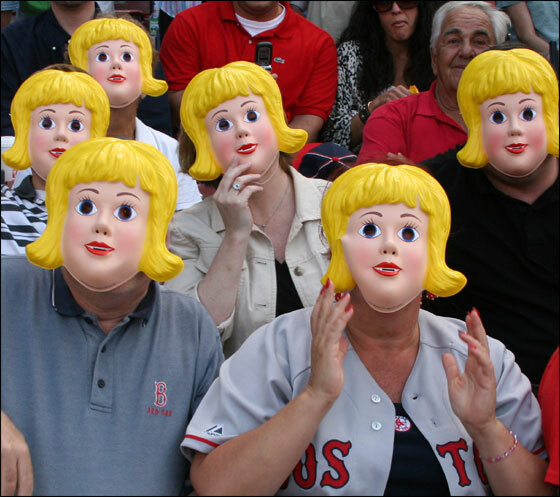 Joe McEwing’s single easily plated Ellsbury for the PawSox’ third run of the game. 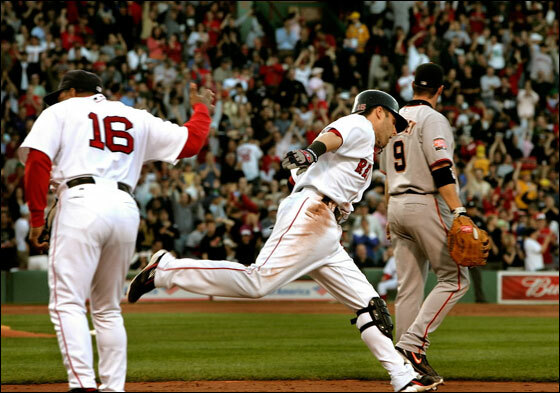 The run was almost completely manufactured by Ellsbury’s combination of hitting skills and blazing speed. 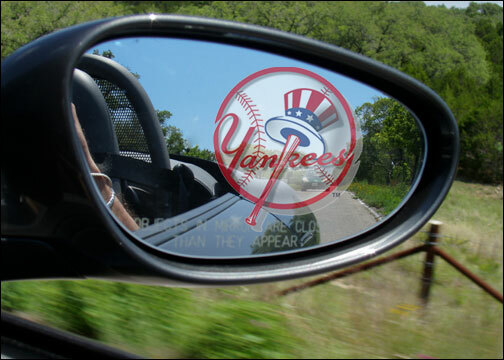 Your Turn: Yanks Getting Closer ... You Worried? Hench: What's the Rocket Fueled By? 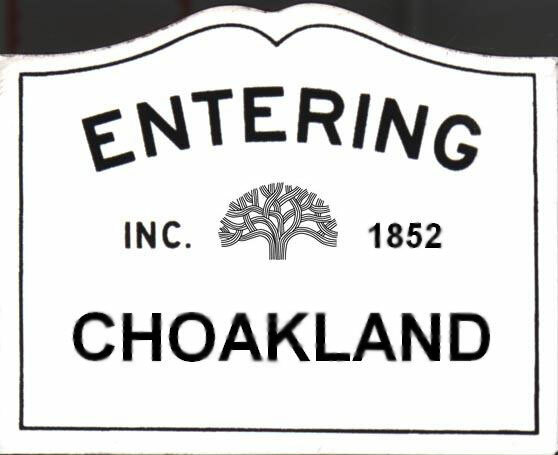 a gunman is about to open fire on the family. Eric Wilbur: How Low for Lugo? Daisuke Mediocre: Is He Quickly Becoming a .500 pitcher? 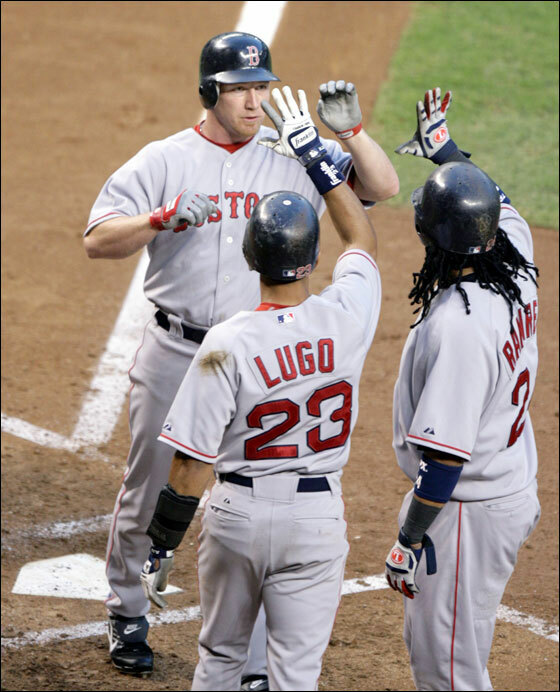 Can Sox Go with Lugo? 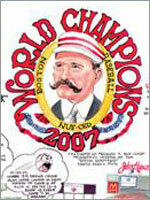 "Boston has had a spinning wheel approach at short since 2004 and the roulette ball has landed on No. 30, as in the 30th-best shortstop in the big leagues. 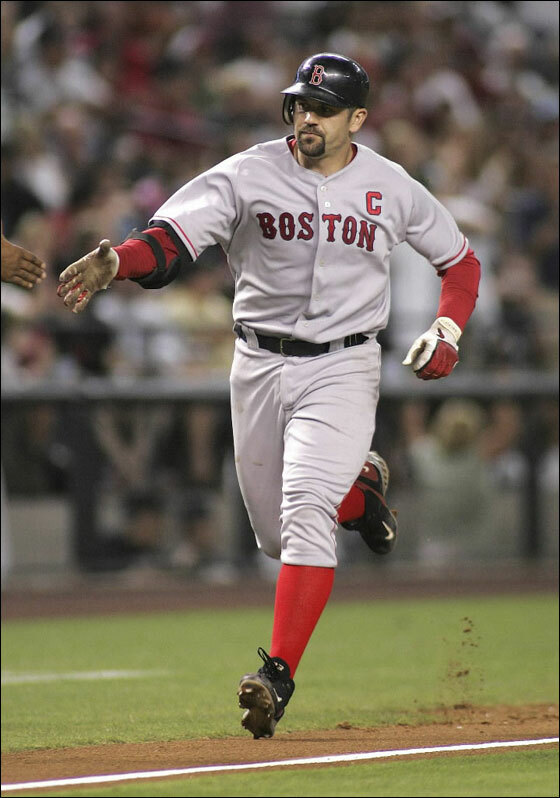 After the Red Sox won their first World Series in 86 years in '04, many Sox fans thought they should re-sign Orlando Cabrera whose defensive wizardry was a big part of the team's championship run. The Boston brass thought his asking price was too high and refused to meet it. Cabrera signed with the Angels for $32M over four years. For a million fewer dollars a year than the Red Sox are paying Lugo, the Angels have a shortstop who is considerably superior defensively and hitting .333 with an .834 OPS. Lugo is hitting .217 with a .591 OPS. 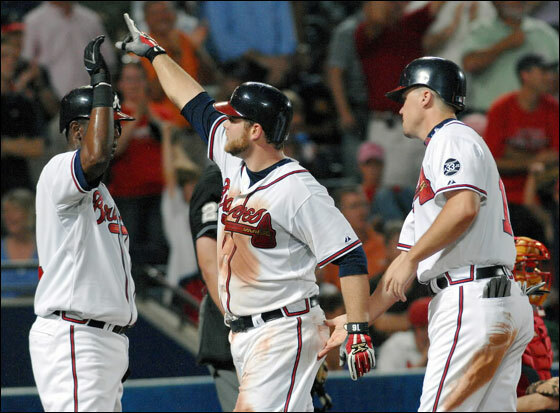 In 664 career at bats, Braves pitcher Mike Hampton has a .292 OBP and a .354 slugging percentage for a .646 OPS. 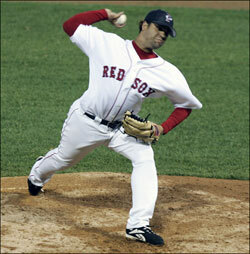 In other words, the Red Sox would have scored more runs with Mike Hampton leading off for them than Julio Lugo. 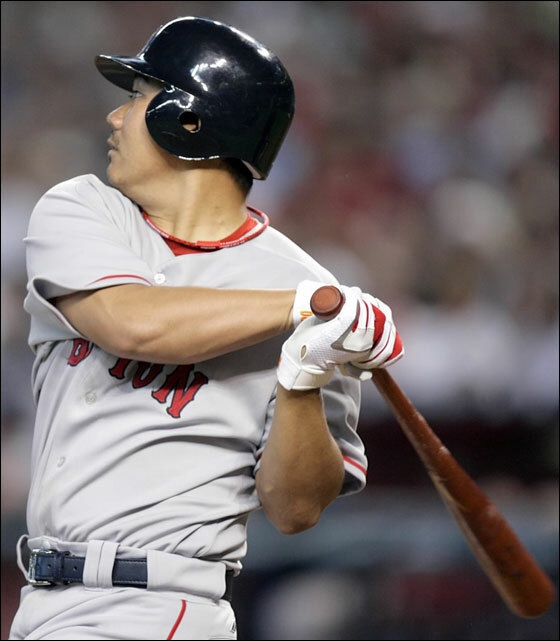 After Cabrera was deemed too pricey, the Red Sox brought in Edgar Renteria for four years at $10M per. After one season of fan discontent, Renteria was dealt to the Braves with the Red Sox eating part of his salary. Bear in mind that on June 7, 2005, Renteria was hitting .272 and had an OPS of .698, over a hundred points higher than Lugo's is now. And this year? Well, with Boston swallowing $8M of Renteria's salary over the three remaining years, Atlanta is paying less for Renteria — who is hitting .319 with an .878 OPS — than Boston is paying Lugo. 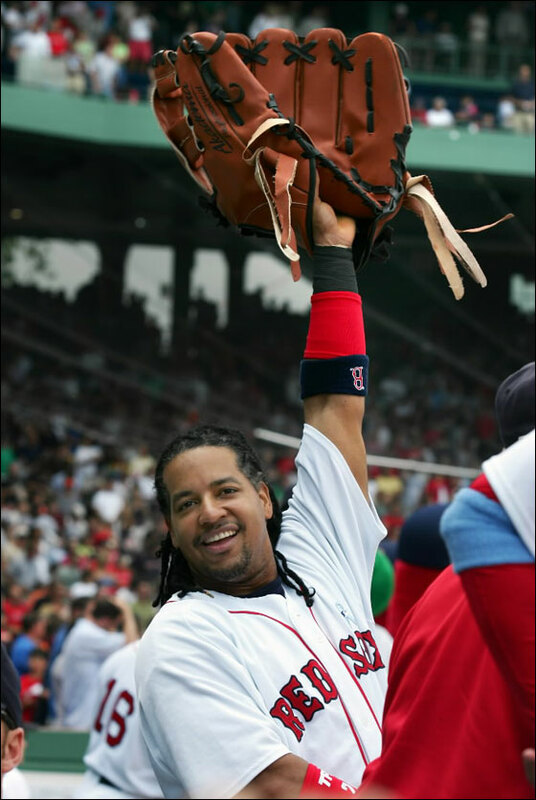 Before the 2006 season the Red Sox dealt minor league shortstop Hanley Ramirez to the Marlins in the deal that brought Josh Beckett and Mike Lowell to Boston. 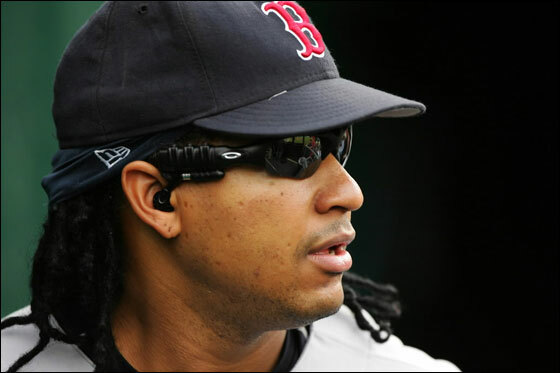 While Beckett and Lowell are two of the reasons the Red Sox are contenders, since we're talking about shortstops, it's worth noting that Ramirez, last year's NL Rookie of the Year, has an .863 OPS. 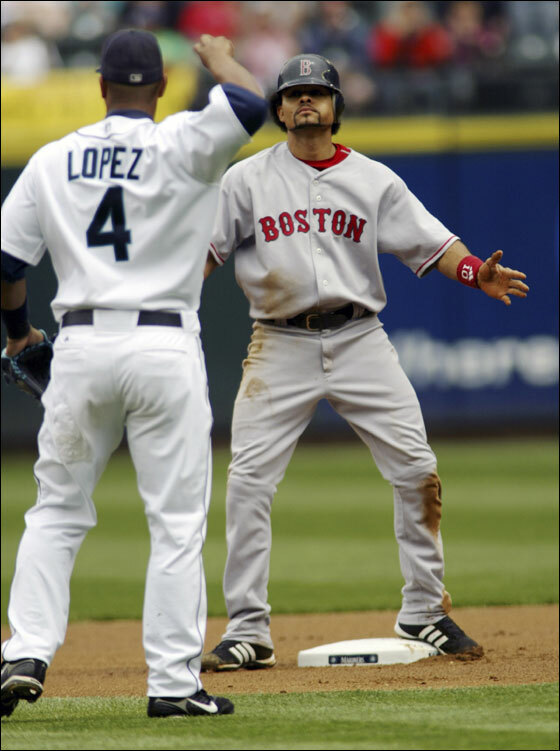 As a stopgap, the Red Sox brought in Alex Gonzalez to play shortstop in 2006. 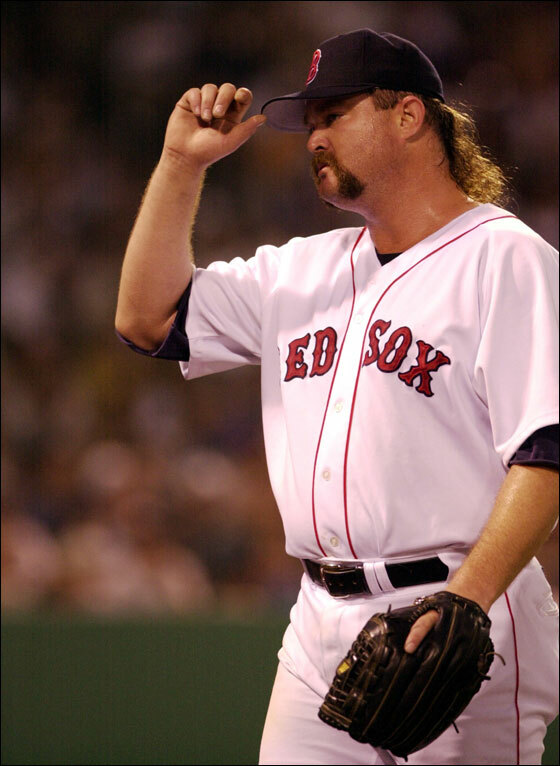 Even for those of us who grew up idolizing Rick Burleson, Gonzo was clearly the best defensive shortstop in Red Sox history. The guy was a magician. So naturally he had to go. Gonzalez is making $3.5M in the first year of a three-year deal with the Reds and has 11 home runs and an .830 OPS. 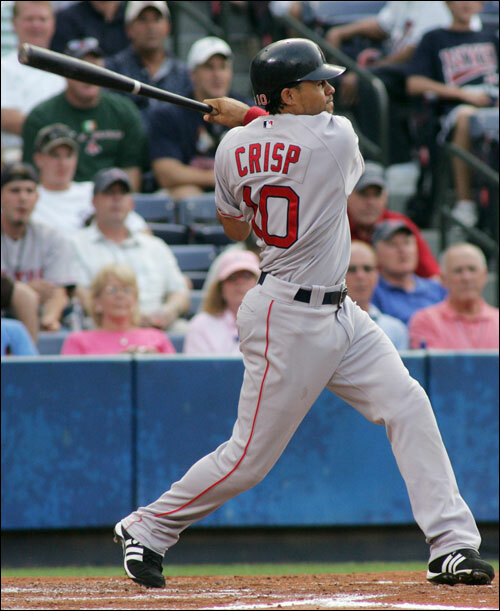 Which brings us back to Lugo, the weakest of the five shortstops the Sox have had to choose from in the last four years and the least valuable shortstop in the Majors through the season's first 10 weeks. As troubling as a .217 batting average and .277 OBP are for a leadoff hitter, consider this: the guy is super fast. He's 17-for-17 in stolen base attempts. So, yes, some of those precious few hits he's amassed in a Red Sox uniform have come courtesy of his legs. His bat? It must be made of Cottenelle. At bat after at bat, he swings mightily, makes contact and the ball either rolls pathetically to an infielder or arcs in a harmless parabola to a shallow outfielder. It seems as if he never gets on base. 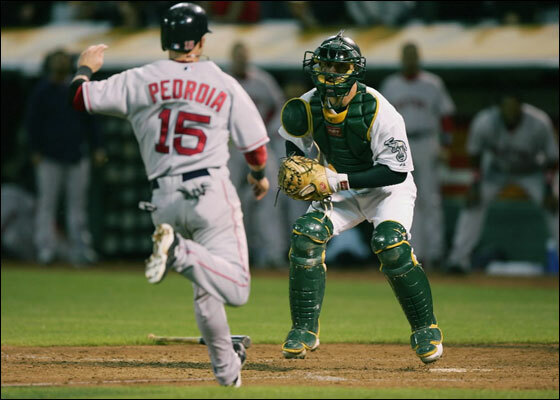 Thanks to Lugo, the Red Sox are 14th in the American League in leadoff OBP, almost 50 points behind the 13th-place Devil Rays. "We're going to probably, in a nutshell, not play certain guys on days like Manny's probably not going to play Thursday against Blanton. Just because it's a quick turnaround to a 12:30 game, and he really swings the bat well against Blanton, he's one of the few that we have, so it's disappointing. You know, Coco was throwing up. I can't imagine being a catcher..."
How did you come to the decision to rest Manny on Thursday? How did you pick Thursday over tonight? Are They Still Getting Mileage Out of Travel Tales? 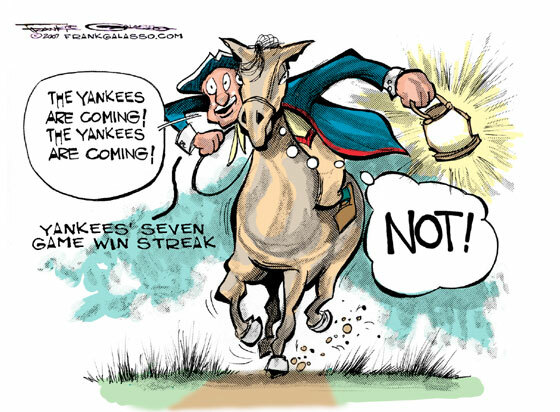 Red Sox Media 14, Yankees Media 7: Take That, New York! This photo op will show no strife … eeek! 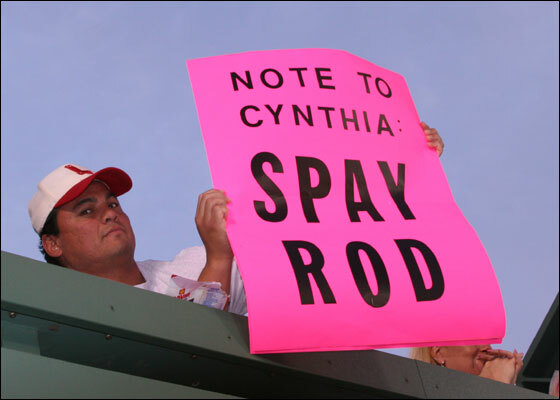 Look out … old Stray-Rod’s back! !